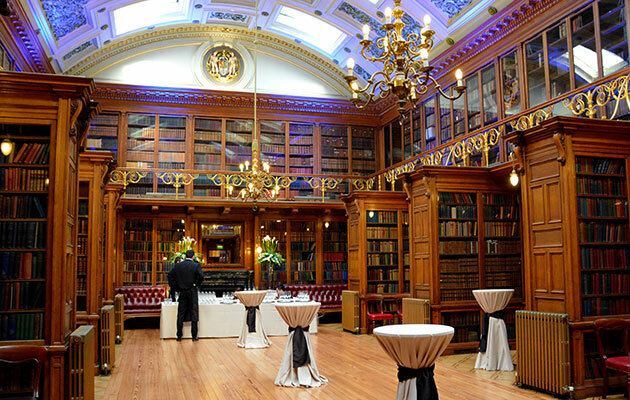 Adjoining the Great Hall and dating back to the 1860s is the awe-inspiring New Library. 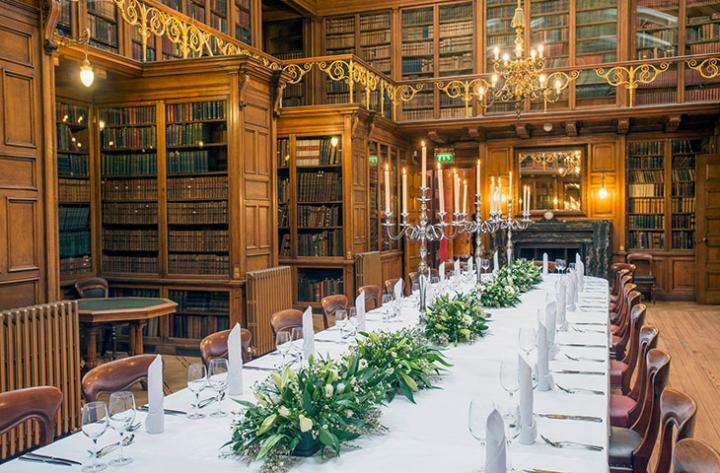 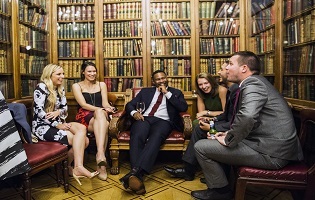 With a stunningly ornate ceiling and a vast collection of antique books housed in handcrafted oak cabinets, it is ideally suited for talks, receptions, intimate dinners and cocktail receptions. 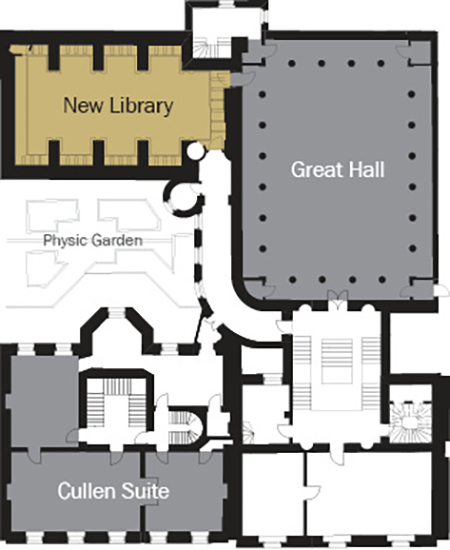 The New Library complements the Great Hall for larger events as the area for receptions and catering.